Fine Shine Exteriors is a fully insured and bonded member of the IWCA -International Window Cleaning Association. 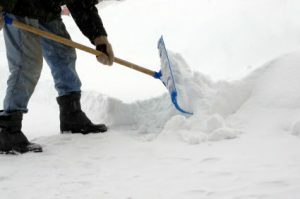 At Fine Shine Exteriors, we offer residential and small commercial snow removal services for Hastings Minnesota and all surrounding areas. We are constantly monitoring the weather and snow storms to provide timely service to properties throughout Minnesota. We are insured, experienced and dedicated professionals who provide outstanding snow removal services for all commercial and residential properties during the winter season. We are equipped with the necessary snow removal equipment to meet your needs, from shoveling your sidewalk to snow plowing your driveway. We pride ourselves in customer service and client relations. All of our customers are our priority. If you want your snow removed by 7am we do everything in our power to make it happen and we will not push you off for a higher paying job. If our schedule is full we will not take any more work on. There is nothing worse than a contractor that is overwhelmed. There are processes that we follow when doing snow removal. We make sure we know the property, installing markers if needed, respecting your property. We also take into account the condition of the driveway, sidewalk, patios and other surfaces. If it is in less than ideal condition, we will make note of it, and use a means of removing the snow without making the surface worse. All of our equipment is maintained to ensure no fluid leaks. For more information about our snow removal services, please contact us at 651-353-8174 or fill out our Free Estimate form and we will get right back to you. I had a window screen that needed to be repaired. I contacted Luke Friday evening and the screen was replaced by Saturday afternoon. I am very pleased with the service and how quickly they completed the job! First time we’ve used this company and are very pleased. Luke and a couple helpers arrived to offer a price quote while they were in our town for another job; when we agreed to the price they stayed and did the job right away. They did all windows of any type (around 14 windows and a few glass doors), as well as repaired a screen in around 1.5 hours. Fast and great quality work. Web Development Provided by: Scope 10 A Minneapolis/St. Paul Digital Media, Marketing & Web Services Co.